Shane Shirley : What Does Young Skin Need? What Does Young Skin Need? I have had so many people asking me recently about what types of products are good for their very young daughter's (sometimes 9 years old) skin care. All I have to say is. "Way to go moms!!" As we have talked about before, 90% of aging is actinic or from the outside elements; UVA & UVB rays as well as toxins or free radicals in our environment that work to break down one of our most important organs...our skin. This actinic aging can definitely be fought effective if we start soon enough. Te first thing you should always do for your little one's skin is PUT ON SUNSCREEN. The Arbonne ABC Line has the most gentle, non greasy sunscreen that is super nourishing. It is even great for skin suffering from eczema. Use it or the SPF 15 for face and body in our Re9 line.Most of the damaging effects of sun damage are done by the time someone is 20 years old. The next thing you should begin to do is teach your children about the importance of keeping the skin clean. Begin to get them (that is our daughters as well as sons) into the habit of morning and evening washing, toning, moisturizing. This will begin protecting and nourishing their skin. The toner is especially important because it will help to keep the skin at an optimum ph level (if the product is any good) of 5.5. This insures that skin can fight off bacteria and is properly prepared for the moisturizing. Arbonne adds a wonderful exfoliating, thermal fusion mask and a daily eye cream to their line for young skin. The product containers are labeled for ease of use and the mask is very safe for sensitive skin but should only be used a few times a week. 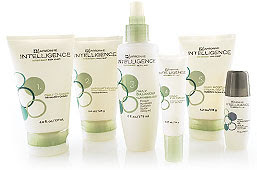 And here is a hint, if you are having breakouts, the Arbonne Intelligence will self adjust and work where it's needed to clear your blemishes. Oops...gotta go and chat with our President of Arbonne on a huge nationwide open call...fun!